Yesterday I dismissed the Blue for Business American Express credit card out of hand, writing that the "product earns 1 non-flexible Membership Rewards point everywhere, which isn't very interesting." I was quickly corrected by reader Stvr, who commented, "Blue for Business is 1.3 MR per dollar." What Stvr is referring to is the 30% bonus Membership Rewards points credited each year within 30 days of your account anniversary each year. And Stvr is right! If you are willing to wait to receive 23% of your Membership Rewards points until the end of your cardmember year, you can think of the Blue for Business card as earning 1.3 points per dollar spent everywhere. The only situation in which I can imagine the Blue for Business card playing a useful role is if you also have a flexible Membership Rewards-earning credit card that isn't the EveryDay Preferred. If you have a Business Platinum American Express, your Membership Rewards points are worth 1.43 cents each for paid airfare on a single airline you designate each year (the same airline you choose for your $200 statement credit). That makes your 1.3 Membership Rewards points per dollar spent on the Blue for Business worth 1.86 cents towards paid airfare. That's not great, but it's not terrible for a fee-free American Express card and it's 30% better than putting spend on the Business Platinum card itself, which earns just 1 Membership Rewards point per dollar spent everywhere. Similarly, if you use a Premier Rewards Gold (2 points per dollar spent at supermarkets) or Business Gold Rewards (3 points per dollar spent at gas stations) card to manufacture spend in their respective bonus categories in order to transfer those points to their airline partners like Air Canada's Aeroplan, Delta SkyMiles, or Singapore KrisFlyer, you might get so much value out of your airline transfers that 1.3 Membership Rewards points per dollar gives you more value than putting the same spend on a 2% cash back card. Of course, if you have an Amex EveryDay Preferred, then you can already earn 1.5 flexible Membership Rewards points per dollar spent everywhere with the card, as long as you make 30 or more purchases per statement cycle, which makes that card strictly superior to the Blue for Business. As I reported yesterday, at least some 7-11 store locations that are coded by Visa as gas stations now allow Vanilla Reload Network reload cards and PayPal Cash cards to be purchased using credit cards. While the cost per dollar of manufactured spend is the same as reload card purchases made at CVS ($3.95 for up to $500), the ability to earn bonus points on Vanilla Reload and PayPal Cash purchases drives the cost per point earned down into even more lucrative territory. US Bank Flexperks Travel Rewards Visa Signature. 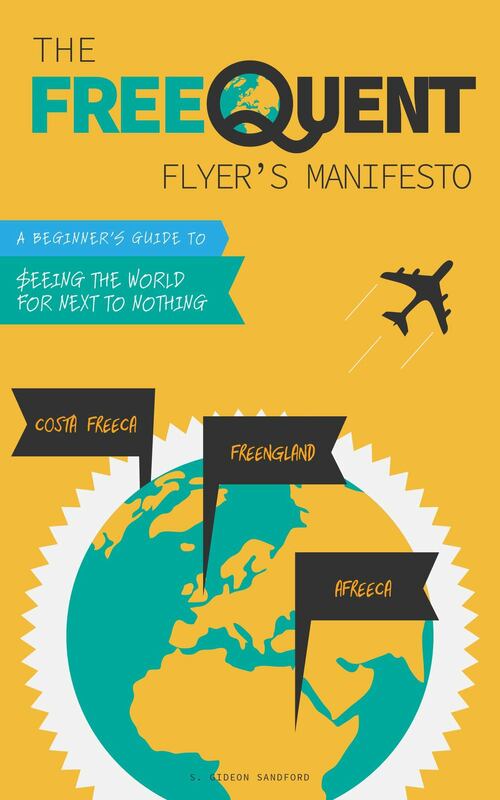 As I explained in Chapter 2 of the Free-quent Flyer's Manifesto and in this blog post comparing fixed-value rewards points, the Flexpoints earned by this card are worth between 1.5 and 2 cents each when redeemed for paid airline tickets. The card has a somewhat confusing earning structure, whereby you'll earn 2 Flexpoints per dollar on purchases at whichever one of gas stations, grocery stores, or airline tickets you spend the most on each billing cycle. Using this card to purchase Vanilla Reload Network reload cards at a gas station, you can buy 3-4 cents in airfare for .79 cents, a 74-80% discount on mile-earning airline tickets. Once you account for the value of the frequent flyer miles you'll earn flying these tickets, this makes airline travel very close to free or even profitable if spent on 3-4 cent per mile mileage runs. Chase Ink line of small business credit cards. These cards earn either fixed-value (Ink Cash) or flexible (Ink Bold and Ink Plus) Ultimate Rewards points. All three cards earn 2 points per dollar spent at gas stations on up to $25,000 (Ink Cash) or $50,000 (Ink Bold and Ink Plus) in purchases per year. If you have an account that earns flexible Ultimate Rewards points, you can then transfer the points to Chase's airline or hotel partners at a 1:1 ratio. If you have a Chase Sapphire Preferred card, you can also redeem these points at a value of 1.25 cents each for paid, mile-earning airline tickets, giving a total discount of 68% on paid airline travel. American Express Premier Rewards Gold/Business Gold Rewards. Both of these cards earn 2 Membership Rewards points per dollar spent at gas stations. These points can be redeemed for paid airline tickets at 1 cent each, or transferred at various ratios to American Express's transfer partners. American Express Hilton HHonors Surpass. In the very early days of Vanilla Reload Network cards, many people (your humble blogger included) signed up for the no-fee American Express Hilton HHonors credit card, which at the time earned 6 HHonors points per dollar spent at drug stores. We earned hundreds of thousands of points buying reload cards at CVS until American Express eliminated drug stores as a bonus category with our May statement closing dates. However, gas stations are still a bonus category. Using the standard "no-fee" HHonors card you'll only earn 5 points per dollar spent at gas stations, but the HHonors Surpass card still earns 6 points per dollar at gas stations, the same earning rate that attracted people to the Hilton cards in the first place. The Surpass card does have a $75 annual fee, so you'll need to make an individual decision on whether the additional HHonors point per dollar spent will be worth more than the cost of that annual fee. Bank of America Bankamericard Cash Rewards. In terms of cash value, this card is second only to the US Bank Flexperks card, earning 3% cash back on gas station purchases. The reason I place it fifth on this list is that the 3% cash back is limited to $1,500 per calendar quarter. While $300 per year at a cost of $47.40 is a perfectly good deal, it's not possible to leverage it to the extent possible with the 4 options I've described above.